The perfect way to remember such a special occasion! 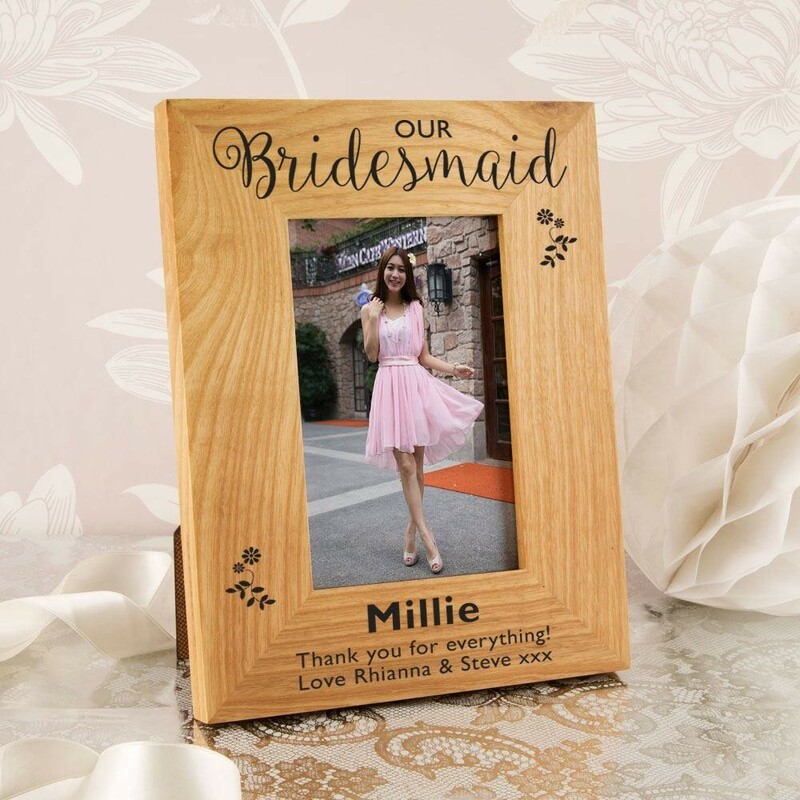 The Bridesmaid will love to display this gorgeous, solid oak frame complete with delicate laser engraved detail. The timeless frame will compliment any room, and the engraved detail makes it stand out wherever it is displayed. The design features a scripted font framed with a floral motif. 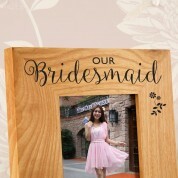 A traditional font shows the Bridesmaid's name and short with love message. Because of the grain of the wood, each frame will vary slightly in colour and texture. The frame holds a portrait 6 x 4 photo.